In poker, the expectation, or expected value, is the return that the player expects on a particular play over the long term. The player bases the expectation on the current hand and the probabilities of the various available outcomes. Expectation is one of the fundamental concepts in poker. In order to be successful long term, the player must play for the long term. By basing decisions on expectation, the player avoids emotion, hunches, luck and other factors. As a poker hand unfolds, the expected value (EV) changes. An EV can be either positive or negative, and it can be affected by dealt cards, a player's actions, and the actions of the player's opponents. 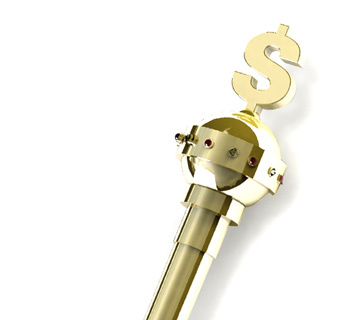 The goal of every poker hand is to maximize the long-term return. 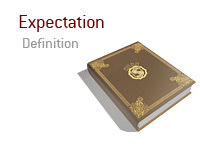 Poker books often refer to this as maximizing expectations or EV. With this approach, every poker hand can, in theory, be reduced to a mathematical problem. A player maximizes EV by making the choice that provides the greatest long-term yield. If there are only negative expectations available, then the player maximizes EV by choosing the option with the smallest long-term loss. Poker players also use the term expectation to refer profits generated per hour. By tracking expectation, a player is able to judge how successful they are, and are able to track their progression as a poker player.